To feed the world more efficiently and to bring an end to world hunger through the integration of a collaborative and innovative financial platform. 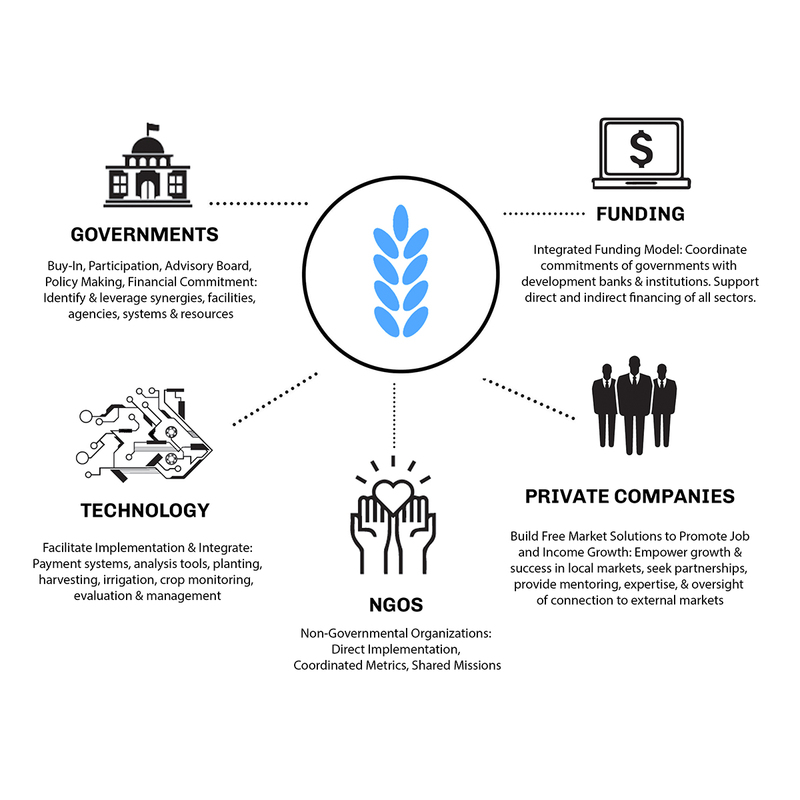 At the World Food Bank, our mission is to revolutionize the world’s agricultural systems through an innovative investment platform that empowers stakeholders across sectors and creates efficiencies in food production and finance. More than 800 million people in the world are food insecure. Smallholder farmers provide over 80% of the food consumed in large parts of the developing world, but face markets volatile commodity markets that have a devastating effects on both growers and consumers. Through advancements in the latest food drying and storage technologies, agricultural commodities and complete meals can now achieve a shelf-life of up to 20 years. This shift essentially eliminates post-harvest loss issues associated with short shelf-life and opens the door for a number of innovative applications that will help smallholders scale their business and be the key to solving food insecurity and global hunger. 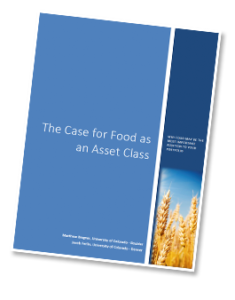 The World Food Bank™ is an asset-backed investment vehicle that operates under the thesis of acquiring extended shelf-life food to fill the gaps in inefficient food markets. The World Food Bank™ food will be part of a greater network where institutional quantities of extended shelf-life dried food are staged globally in strategic locations with the purpose of building out a network of global relief resources, available where and when they are needed for sale into local markets when supply is limited and to provide direct relief to victims of humanitarian crises, when resources are scarce. To resolve the great inefficiency in commodity price volatility that exists in many developing countries and their local markets. To generate a return from the timely sale of food commodities into regions of the world where there is the most need. The World Food Bank™ (WFB) was established following the advent of dried commodities being standardized and traded through the Global Food Exchange™ as an investment asset class. The WFB supports the GFE ecosystem by benefitting producers by establishing a price floor and benefitting consumers in local markets by increasing market supply as needed, reducing volatility and increasing efficiencies for all parties. The WFB seeks to diversify across all food commodity markets, including specialty commodities, as well as hold complete meals in reserve that international relief standards and are in high demand during humanitarian response. We believe that the World Food Bank™ is the catalyst needed to bring together the hundreds of agencies and organizations working toward the common goal of ending world hunger by meeting the Zero Hunger Challenge. We believe that meeting this challenge requires the coordination of public and private, for-profit and not-for-profit, mission driven and market driven. We believe that the key to meeting the demand for food of a world with 50% more people will be realized when populations of farmers are able to transition from subsistence to commercial farming, where they can source higher quality inputs and the mechanization needed to maximize efficiency and to compete in a global marketplace. We believe that the path to prosperity for farmers, the path to sustainability for industry, and the path to food security for the world can be found in an organized ecosystem where food drying and storage technologies pave the way for institutional dried food reserves, stored in strategic locations around the world for rapid deployment when and where supplies are limited.